Chinese American Film Festival and Chinese American TV Festival is organized by EDI Media Inc., and supported by National Radio and Television Administration, China National Film Bureau, Producers Guild of America, Writers Guild of America West, and the Embassy of the People’s Republic of China in the US, major film and television companies in the United States and China, Hollywood brokerage companies, American political circles, and Chinese and American film and television celebrities participating in the annual China-US film and television event. Chinese American Film Festival and Chinese American TV Festival aim to promote exchanges between Chinese and American film and television industries, enhance the complementarity and cooperation between the Chinese and American film and television markets, and promote the exchange of culture between China and the United States and the friendship between the people through film and television. 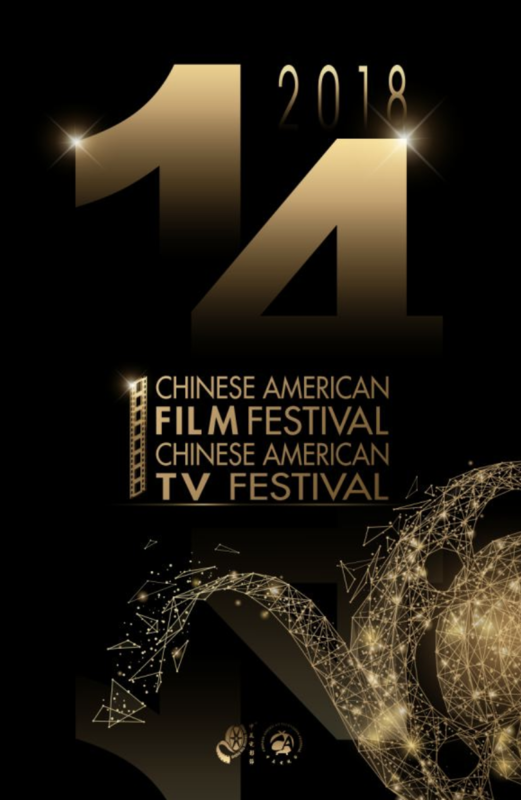 Chinese American Film Festival and Chinese American TV Festival are the only China-US film and television events jointly supported by the Chinese and American industries. In 2018, Los Angeles County of the United States once again named November as the “China-US Film Festival Month”. Every year from the end of October to November, Chinese American Film Festival and Chinese American TV Festival hold CAFF & CATF Welcome Banquet, CAFF & CATF Summit and Film & TV Market, CATF Golden Angel Awards Ceremony, CAFF Opening Ceremony and Golden Angel Awards Ceremony, CAFF & CATF Film and TV Showcase, and other related events in Los Angeles, San Francisco, Dallas, and Las Vegas, more than 10 well-known film colleges held seminars and more than 200 film screening events, for the cooperation between China and the US film industry to build a broader platform. Each year, more than 300 China-US film and television companies join CAFF & CATF to build the platform for film and TV exchange and cooperation. Each year, more than 1.2 million people watched 500 outstanding Chinese and American films through the platform. As an annual East-West cultural exchange event, Chinese American Film Festival attracts dozens of Chinese and American mainstream media to cover the report every year. CAFF has received letters of recognition signed by two Former US Presidents, Obama and Bush, California Governor Schwarzenegger, and Chinese Ambassador to the US Cui Tiankai. Many Chinese and American politicians supported and issued a personal letter to encourage the event. At the same time, the congratulatory letter was also presented by the President of the American Film Association, the Federal Senator Dodd, the Chairman of the US Congress Minority Committee, and the US Congressman Grace Napoli. Nuo, Chairman of the US Congressional Foreign Affairs Committee, Congressman Lawrence, US First American Female Congressman Judy May Chu, California Senator Hernandez, California House Republican Leader, Los Angeles County Supervisor Michael Antonovich, Kathryn Barger, San Bernardino County Supervisor Kurt Hagman, Los Angeles Mayor Eric Garcetti and others. 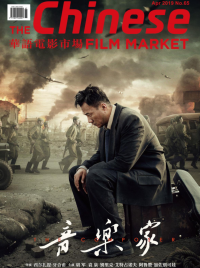 Major Hollywood studios have also attended Chinese American Film Festival, including News Corporation, 20th Century Fox, Paramount, Disney, Universal Pictures, Warner Bros., Sony, DreamWorks, Village Roadshow, etc. former Academy president Sid Ganis, numerous world famous film masters and Oscar winners: AVATAR director James Cameron, LÉON: THE PROFESSIONAL director Luc Besson, THE GODFATHER producer Albert S. Ruddy, WAY OF THE DRAGON producer Andrew Morgan, BLACK SWAN producer Mike Medavoy, THE ENGLISH PATIENT director Anthony Minghella, LION KING director Robert Minkoff, THE HURT LOCKER Director Kathryn Bigelow, RUSH HOUR producer Arthur Sarkissian, SPIDER-MAN sound engineer Paul Otterson, STAR WARS producer Howard Kazanjian, RAIDERS OF THE LOST ARK sound effects editor Richard Anderson, CRASH producer Mark Harris, SHREK THE THIRD director Raman Hui, FIRST BLOOD director Ted Kotcheff, KUNG FU PANDA director Jennifer Yuh Nelson. During 2018 Beijing International Film Festival, the organizer of the Chinese American Film Festival and Chinese American TV Festival, EDI Media Inc., held the 14th CAFF & CATF Press Conference in Beijing International Hotel on April 16th. Wang Zhongwei, Party Secretary and Director of the State Council Counselor’s Office, Zhao Shaohua, Vice Chairman of the China National Arts Foundation, Zhang Pimin, Vice President of China Alliance of Radio, Film and Television, Zhao Shunguo, Deputy Director of the Film Bureau of State Administration of China National Press, Ren Qian, Vice President of the Beijing International Film Festival, Central Radio and Television General Station (former editor-in-chief of China Radio International), Hu Dong, executive deputy secretary-general of Beijing International Film Festival Organizing Committee, deputy director of Beijing Press, Publication and Radio and Television Bureau, La Peikang, chairman of China Film Corporation, Jiang Ping, General Manager of China Film Corporation, Zhang Lin, Deputy Secretary of the Party Committee of the CCTV movie channel, Gu Guoqing, Head of China Film Promotion International, James Su, Chairman of Chinese American Film Festival and Chinese American TV Festival, Chairman of the EDI Media Inc., Siu Ming Tsui, Chinese American Film Festival Co-Chair and other guests and dozens of well-known film and television companies in China and the United States attended the event and delivered speeches at the event. On June 17th, the second press conference for the 14th CAFF & CATF was held at Crowne Plaza Shanghai Silver Star Hotel. Chairman of CAFF and CATF and Chairman of EDI Media Inc James Su; Vice President of China Alliance of Radio, Film and Television Zhang Pimin; Chairman of the Shanghai Cultural Development Foundation, Chen Dong, Director of the Shanghai Municipal Bureau of Cultural and Broadcasting, Yu Xiufen, Secretary of Shanghai Radio and Television Station Wang Jianjun, Deputy Leader of Shanghai Leading group of Great Literary and Artistic Creation Wu Xiaoming; General Manager of China Film Co. Jiang Ping; President of Shanghai Film Group Wang Jianer; Supervisor of Shanghai Culture, Radio, Film and Television Group Co., Ltd. Teng Junjie; Head of the China Film Promotion International Gu Guoqing; General Manager of China Film Co-Production Corporation, Miao Xiaotian; Vice Chairman of Radio, film and Television Alliance Yang Zhenhua; Honorary President of Hong Kong Director Union Wu Siyuan; President of Rudy Morgan Films Andre Morgan, as well as government officials from China and the United States, and guests from various movie companies attended the event to deliver a speech. At the end of October, the 14th Chinese American Film Festival, which was highly anticipated, finally reappeared in Hollywood. In the past 14 years, the organizing committee of Chinese American Film Festival has created CAFF as an excellent platform for Chinese and American filmmakers to cooperate and exchange with each other. On October 28th, the 14th Chinese American Film Festival, Chinese American TV Festival Film Festival Welcome Banquet will be held grandly. More than a thousand Chinese and American film and television guests will jointly open the 14th Chinese American Film Festival and Chinese American TV Festival. On October 29th, the 14th China-US Film Festival, Chinese American TV Festival Summit and the film & TV market will be held at Writers Guide Theatre. The all-day forum is divided into three sessions in the morning and afternoon. It discusses the future of China-US film industry cooperation, including how to build a successful international IP, the classics and innovations of China-US film and television cooperation, and other important issues related to the direction of China-US film industry. Stars, directors, and film and television professionals from China and the United States will gather to discuss the new future of China-US film and television. The prestigious Chinese American Film Festival and Chinese American TV Festival Summit is one of the most successful business development platform for film and television cooperation between China and the United States. Keynote speakers include, Siuming Tsui, Co-Chairman of Chinese American Film Festival, Movie and TV Director, Producer, President of Hong Kong Televisioners Association;Bill Mechanic, Co-Chairman of Chinese American Film Festival, Producer of Academy Award winning film, HACKSAW RIDGE; director You Xiaogang, Chairman of China Television Drama Production Association; Wang Liping, Vice President of China TV Artists Association, Scriptwriter of THE TIME WE HAD，GOOD TIME; Stanley Tong, producer and director, Chairman of the Board of China Film International Media Co. Ltd and CFI Fund based in Shanghai; Clifton Ko Chi-sum, director, producer and screenwriter，Chief Executive Officer and Producer of The Spring-Time Group; John Penotti, producer of CRAZY RICH ASIANS; Adele Lim, Writer of CRAZY RICH ASIANS; Randy Greenberg, executive producer of THE MEG; Alex Dong, CEO of Sun Entertainment Culture Ltd.; Carl Rogers, SVP Of Feature Development, Co-Producer on 2 time Oscar winning Film BLADE RUNNER 2049; Wang Hui, Vice President of China Television Drama Production Industry Association，President of Datang Brilliant Media Co., Ltd,; Devin Mann, Former Partner and Co-Head of Productions at WME for 13 years, CEO and President of Iconic Talent Management; Rita Hsiao, Writer of MULAN, TOY STORY 2; Bob Sabouni, CMO of Stan Lee’s POW! Entertainment; Liu Xiaolin, Chairman of the America IEA Partners, Zhejiang Dongyang based Aiyi Culture Media Company Ltd.; Jason E. Squire, professor of School of Cinematic Arts, University of Southern California, editor of The Movie Business Book; Bobby Roth, Director on drama series PRISON BREAK; David Alpert, Executive Producer of THE WALKING DEAD, President of Skybound Entertainment, and other Chinese and American film industry guests will join the discussion. More than 100 film and television companies will participate in Chinese American Film Festival and Chinese American TV Festival online film and television market. On the evening of October 29th, CATF Golden Angel Awards Ceremony will be held at the Writers Guide Theatre. On October 30th, the CAFF opening ceremony and the Golden Angel Awards Ceremony will be held at the Ricardo Montalban Theatre in Hollywood. More than 100 Chinese and American film stars will appear at ceremonies. Producers Guild of America, Writers Guild of America West, major American film companies and independent filmmakers, China Film Group and Shanghai Film Group, Xiaoxiang Film Group, Huayi Brothers, Bona Film, Wanda Film, Xingmei Film, Hairun Film, Shanying Production, Perfect Film, Starry Entertainment, Shanghai Guanyi Culture Communication, Zhejiang Yousheng Film and Television Culture, Beijing Sanhongmen Culture Communication, Beijing Huamei Time and Space Culture Communication, Zhengzhou Film and Television Association, and other representatives of more than 100 companies’ representatives will witness the award of 14th CAFF & CATF. On October 31st, Chinese American Film Festival and Chinese American TV Festival will hold CAFF & CATF Film & TV Showcase to pragmatically promote the cooperation between China and the US film industry. Hundreds of Chinese and American filmmakers gathered together to share their projects and seek practical cooperation. The organizing committee of Chinese American Film Festival has drawn nearly 100 movies that are amazing in both artistic and box office this year. In November, a large-scale centralized screening will be held throughout the United States. The finalists of this year’s film festival are still adhering to the theme of diversified subjects and multi-dimensional perspectives, such as Chinese director Zhang Yimou’s SHADOW, the new director’s work WINTER IN MY HEART and TILL THE END OF THE WORLD, top box office films in China such as OPERATION RED SEA, DETETIVE CHINATOWN II, HELLO, MR. BILLIONAIRE, the films to reflect the real society and humanity such as A OR B, LOST, FOUND, THE LINGERING, WRATH OF SILENCE; blockbusters with the display of colorful fantasy visual feast EARTH: ONE AMAZING DAY, films with the warmth of the small fortunate happiness, GO BROTHER, HAPPINESS AROUND THE CORNER; the super-line ace star-studded blockbuster PROJECT GUTENBERG, the new generation of idol actors shine THE ANIMAL WORLD, CITY OF ROCK; OUR SHINNING DAYS focusing on youth narrative, THE FAREWELL GIRLS, LISTEN TO YOU, TRUTH OR DARE, EVERYTHING LIKE YOU that reflects the branding of the times and communication with two generations DEAREST ANITA…, DRIFTING GOATS, HOLD YOUR HANDS; the delicate depiction of the small characters obsessed MY DEAR ELEPHANT, LUCID DREAMS, to carry forward the big era big man big feelings THE UNITY OF HEROES, I AM A DOCTOR; from the continuation of the animated history of the classic THE BIG HEAD SON AND LITTLE HEAD FATHER 3: RUSSIAN ADVENTURES, to the traditional stage art and modern visual technology miscellaneous On the screen, CAO CAO AND YANG XIU, WEDDING DRESS, HAN YU NIANG, THE WOMAN OF THE MOUNTAIN, WHITE SNAKE LOVE, SIMON BOCCANEGRA, the new artistic expression technique makes the classic art continue to glow in the modern context and new vitality. There are also suspense and action dramas such as THE BUZZARD, FATHER AND HERO, GENGHIS KHAN, THE SECRET OF INNOTAL CODE, ON AIR, and so on. The opening ceremony of the 14th China-US Film Festival and the Golden Angel Award award ceremony in 2018 will be jointly broadcast by iQiyi, Beijing Satellite TV, Dragon TV, Movie Channel, American City Satellite TV and other TV stations. Over one billion global audience will enjoy a feast of film and fun of culture exchange between China and the United States.